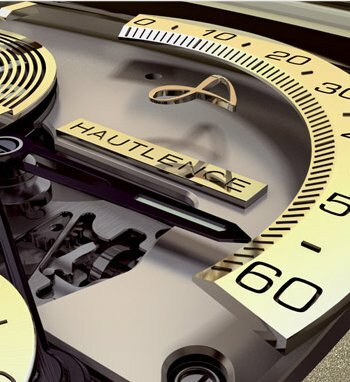 The HAUTLENCE brand was created in 2004, with the first wristwatches ready for September 2005, and the first collection by 2007. The company has set up a watch-maker’s college in Neuchatel — in Switzerland’s famous watch valley. 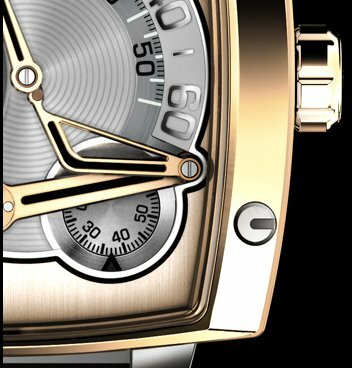 They developed their own new movement, built around the caliber, with all the technical elements exposed to view. 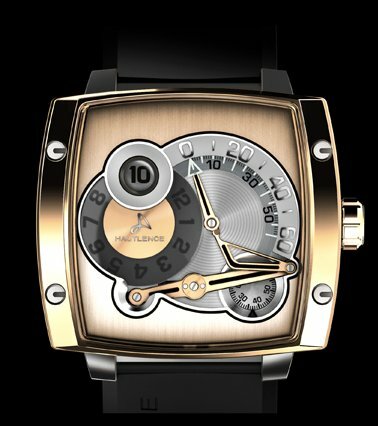 Like Richard Mille, Hautlence is a very young company, but unlike Mille, Hautlence does not seek a new approach with computers and new materials, nor does it seek to break into the top end of the market. Instead Hautlence seems to be competing with the likes of Jaquet Droz or even FP Journe by aiming at the lower end of a market that has for so long been dominated by Rolex, Omega, Cartier, Breitling, Tag Heuer, Gucci, etc. While Hautlence cannot be compared with such valuable and exclusive timepieces as those created by Roger Dubuis, Patek Philippe, Parmigiani, Girard-Perregaux, Chopard, Blancpain, Audemars Piguet, Breguet, Vacheron Constantin, or IWC, the styling and traditions of such watches may be seen to be available now at an affordable price by Hautlence. This entry was posted on Thursday, January 3rd, 2008 at 23:56 and is filed under Design Specials, New Product, Wristwatches. You can follow any responses to this entry through the RSS 2.0 feed. You can skip to the end and leave a response. Pinging is currently not allowed. Ingenious design, very artsy, but my opinion is the design is for a limited type of person. Are you kidding me? The price for an entry level hautlence is over 15k usd…the price for the normal in house movement models are over 30k usd…are they competing the brands like…what gucci?? Tag??? Breitling????? ?